Do evangelicals make good neighbours? Nearly three in four evangelical Christians have given a firm thumbs down, in a recent survey, to the notion of Scotland, Wales or Northern Ireland breaking away from the UK but were mixed about the UK remaining in the European Union (EU). In the just released results of the Evangelical Alliance survey Are we good neighbours? 74 per cent of respondents said they would be unhappy or very unhappy if Scotland were to become independent while 73 per cent felt the same way about Wales with a slightly lower 64 per cent sentiment for Northern Ireland. However, on the question of the United Kingdom quitting the EU, 34 per cent wanted to see the back of Brussels while 46 per cent wanted it to stay; and 20 per cent were undecided. A whopping 91 per cent of them said they would normally vote in local elections – nearly triple the average national turn-out. The survey also revealed that evangelical Christians were largely good neighbours – by helping people in need, buying ethically-produced goods, sponsoring children in less developed countries and regularly praying for those in need at home and abroad. Closer to home, in their neighbourhoods, more than four in 10 people trusted their next-door neighbour enough to leave a spare key with them or ask them to look after their property while away. In the Bible, Jesus said that the first and greatest commandment was to love “the Lord your God with all your heart and with all your soul and with all your mind” and the second is to “love your neighbour as yourself”. However, Lucy Olofinjana, an Alliance spokesperson, said the survey revealed that some evangelical Christians were struggling to live up to this commandment. “When it comes to helping people in need, at home and abroad, Christians do rise to the challenge but today the struggle is being a friend to their next-door neighbour. I really do believe that this is an area that definitely requires a focused attention by church leaders,” she said. “There are several way a church can encourage Christians to ‘break the ice’ in their neighbourhoods. 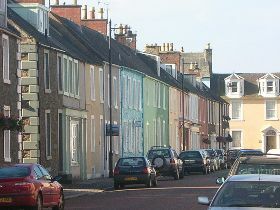 For example, they can encourage their congregations: to sign up to the Neighbourhood Prayer Network, which aims to see every street in the UK covered by prayer; to get to know their neighbours and be generous to them; encourage them to use opportunities such as the Big Lunch to host street parties; or engage with Streetbank – an online community which helps neighbours to connect with each other,” she added. Even though I'm wheelchair-bound, I know others less able than myself, so I call them and sometimes visit. I organise the neighbours’ children, we bake and after school they pass through and tell me about school, even inviting me to their school activities. Although my neighbours are friendly and always say hello, they don't make much effort it seems because I don't have children or a husband... it always feels a bit awkward as they always ask why I'm not married and don't have children. I set up both a Neighbourhood Watch and a Residents' Association after I moved in to my area 20 years ago as a means of getting to know people and drawing them into community. How is it possible to love someone as yourself if you struggle to love yourself? The survey was conducted among 1,497 evangelical Christians. Access the full report - Are we good neighbours? This is the latest press release from the Evangelical Alliance. This release is also available to view and share online. 21st Century Evangelicals is a series of research booklets produced by the Evangelical Alliance in partnership with our Research Club: Care, Christians Against Poverty, Compassion UK, CWR, Mission Aviation Fellowship, Open Doors and Prospects. Its purpose is to study the beliefs, habits and practices of evangelical Christians in the UK. Previous issues in the series are: A snapshot of the beliefs and habits of evangelical Christians in the UK, Does belief touch our society?, Are we communicating?, The World on our doorstep?, How's the family?, Does money matter?, Confidently sharing the gospel?, Do we value education?, Life in the church?, Working faithfully? and Time for discipleship? We are the largest and oldest body representing the UK’s two million evangelical Christians. For more than 165 years, we have been bringing Christians together and helping them listen to, and be heard by, the government, media and society. We’re here to connect people for a shared mission, whether it’s celebrating the Bible, making a difference in our communities or lobbying the government for a better society. From Skye to Southampton, from Coleraine to Cardiff, we work across 79 denominations, more than 3,500 churches, 750 organisations and thousands of individual members. And we’re not just uniting Christians within the UK – we are a founding member of the World Evangelical Alliance, a global network of more than 600 million evangelical Christians. For more information, go to www.eauk.org.